Over 640 million Africans have no access to energy. This corresponds to an electricity access rate for African countries of just over 40 percent, the lowest in the world. Annual per capita energy consumption in sub-Saharan Africa (excluding South Africa) is 180 kWh, compared to 13,000 kWh per capita in the United States and 6,500 kWh in Europe. The region accounts for 13% of the world’s population, but only 4% of its energy demand. Africa’s energy potential, especially from renewable energy sources, is enormous. The continent has well over 10 TW of solar potential, 350 GW of hydroelectric potential, 110 GW of wind potential and an additional 15 GW of geothermal potential, yet only a fraction of it is being currently employed. Making reliable and affordable power widely available is critical to the development of the region. Investors in Africa have been known to refer to it as a ‘bring-your-own-infrastructure’ continent where investing firms must provide independent generators, water purification and even sewage treatment when building a factory or a hotel. Solar power is a unique opportunity and can play a key role in achieving these goals. Solar is simple, scalable, decarbonized, and competitive – features permitting it to be deployed quickly and widely and contribute substantially to the Africa energy independence. I believe that the market forces driving the decline in solar generation cost and other energy projects announced with levelized cost of electricity (“LCoE”) below $30/MWH can drive radical changes in Africa’s future power generation. Nevertheless, while a number of projects exist and with more emerging, the lack of i) sufficient and appropriate financing ii) fully bankable projects iii) appropriate regulatory environments, and iv) coordination by regional and government authorities, all, severely limit the scale and speed at which new electricity generation capacities are provided to the continent allowing it to tap its huge solar potential. Ambrogio: This programme will provide governments with a decision-making tool to accelerate the reduction of solar costs. The tool shows correlations between financing costs, perceived risk premium, and legal and regulatory frameworks. This enables users to identify the levers of simplification and optimisation of the regulatory framework, so that reform can be prioritised, creating the regulatory and financial conditions necessary for development. The next steps for this programme are to interact with policy-makers to raise awareness. New Green Market that connects all market players and transparently flows information to foster competition; that makes clean energy solvent through an international common purchase framework and mechanism of mutual guarantee to unite demand; and that provides investment products for private institutional investors by aggregating and securitising large-scale financial flows from green assets to catalyse investment. Solar PV can and should be made more affordable in solar-rich countries, this is why KPMG, as a Founding Member of Terrawatt Initiative, is committed to bringing its expertise to design solutions that will make solar energy affordable for all. 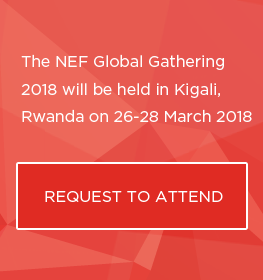 I’ll be discussing more on this during the NEF Global Gathering’s session “Towards Africa’s energy independence” on 27th March 2018. 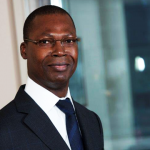 Wilfrid Lauriano do Rego is a board member of KPMG in France and is a board member of Terrawatt representing KPMG, one of the founding members involved in the Ambrogio Initiative and the Comprehensive Risk Mitigation Mechanism. He is one of the Global Lead Partners, leading KPMG client service teams for the key Energy and Utilities Companies.